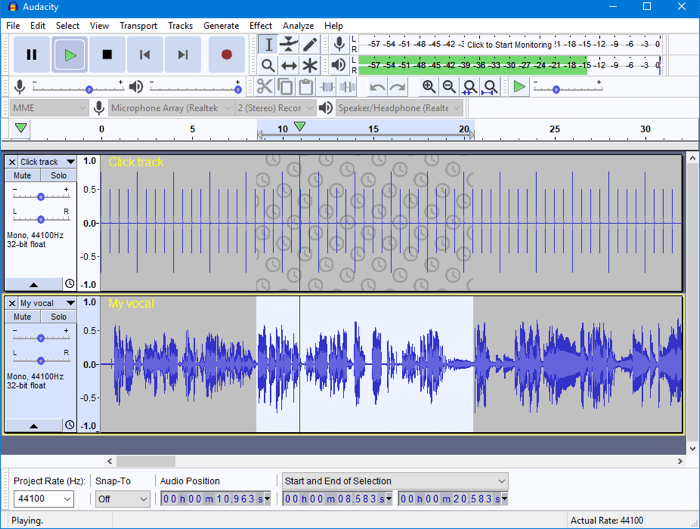 Audacity is a free, open source audio recording and editing software. 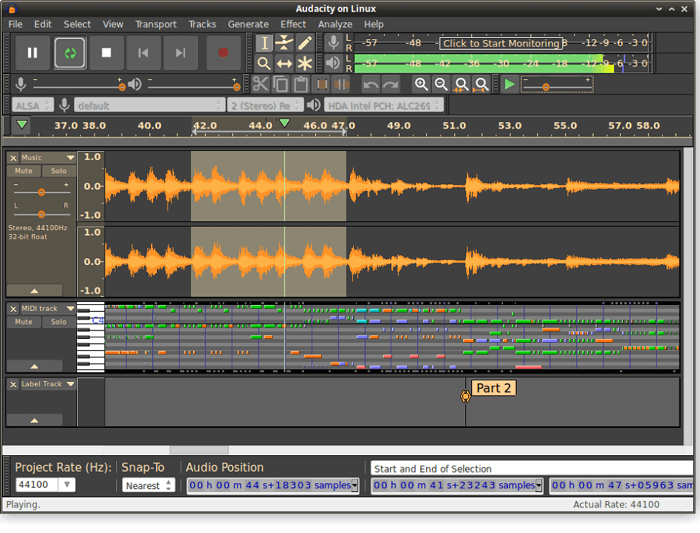 Free download the latest version of Audacity on PC, macOS & Linux (64/32bit). 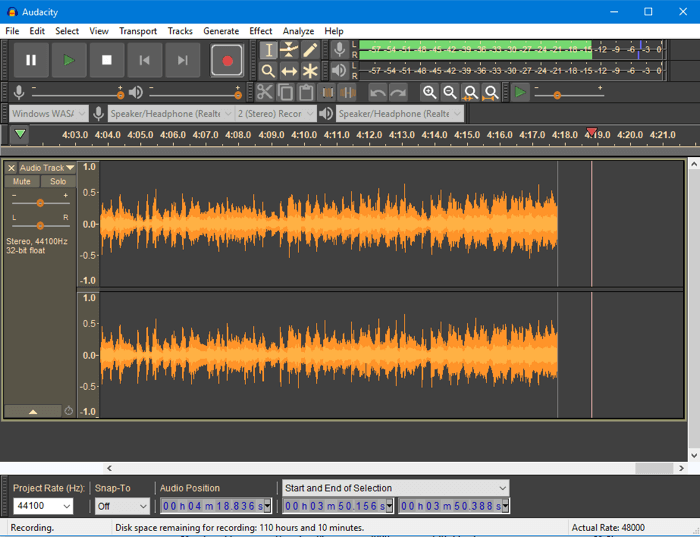 Record audio from multiple sources (microphone, mixer, podcast, streaming audio). Supported 16-bit, 24-bit and 32-bit quality and upto 384,000 Hz. 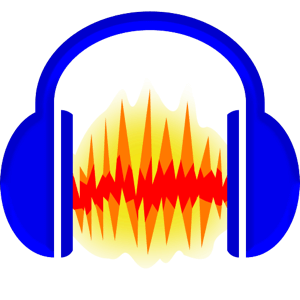 Dozens of plugins available which can be modified or create of your own. Keyboard shortcut keys available for quick accessibility (and infinite undo and redo option). 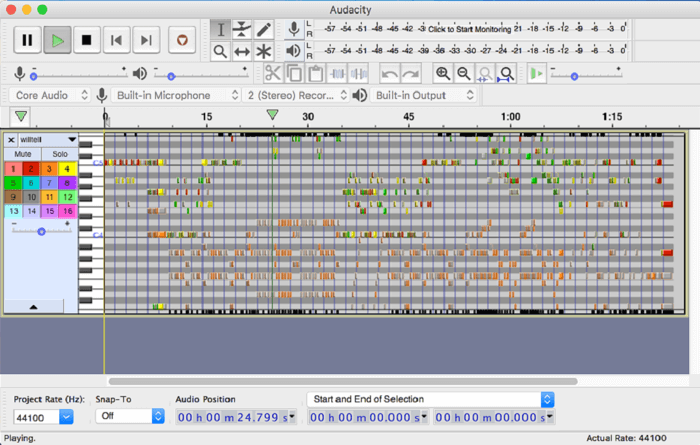 Highly customizable and displays preview in real-time. 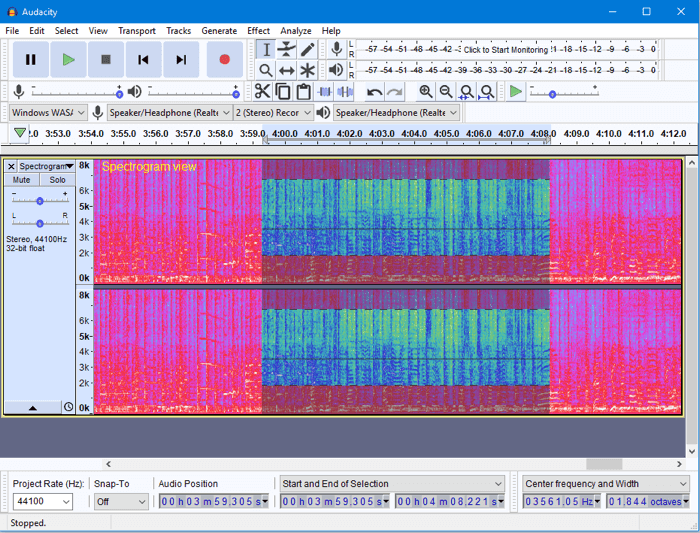 Export projects in MP3, MP2, WAV, AC3, AIFF, AU and more formats.